No, there wasn’t any snow on Christmas Day, but the day was fine and dry and, although the promised sunshine was more than a little weak, it was a good day for walking. So, no restaurant but a stunning walk with views on all sides encompassing the North Yorks Moors and views across to the Dales to the west, and the North Sea to the north-east. 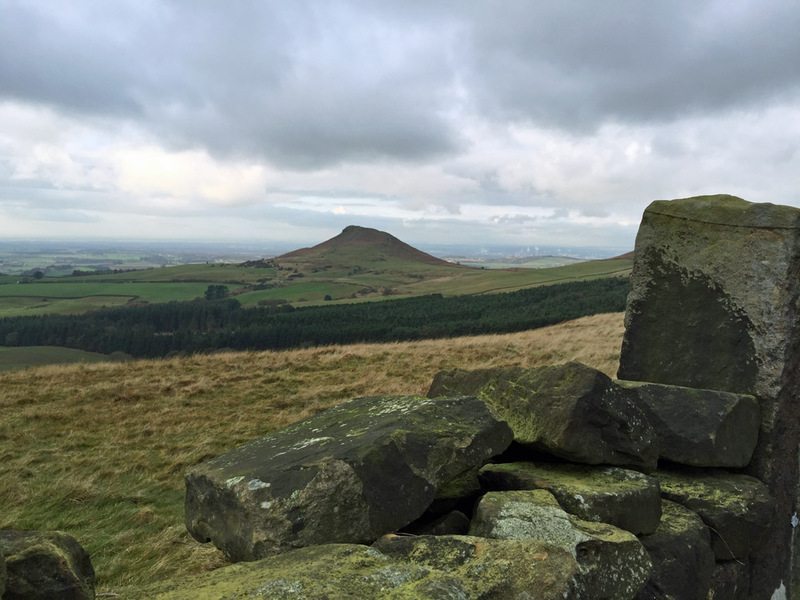 The walk starts from Gribdale Gate, on the road from Great Ayton Station, and you take the short climb to the monument on Easby Moor. Turn left at the monument and follow the footpath, keeping right at a couple of junctions, until you reach the road [Cleveland Way] after about 1 mile [1.66km]. Turn left along the tarmac road, down the hill, past a house on the right, until you reach some farm outbuildings at a sharp left turn. Keep straight on here up the cart track through a gate. 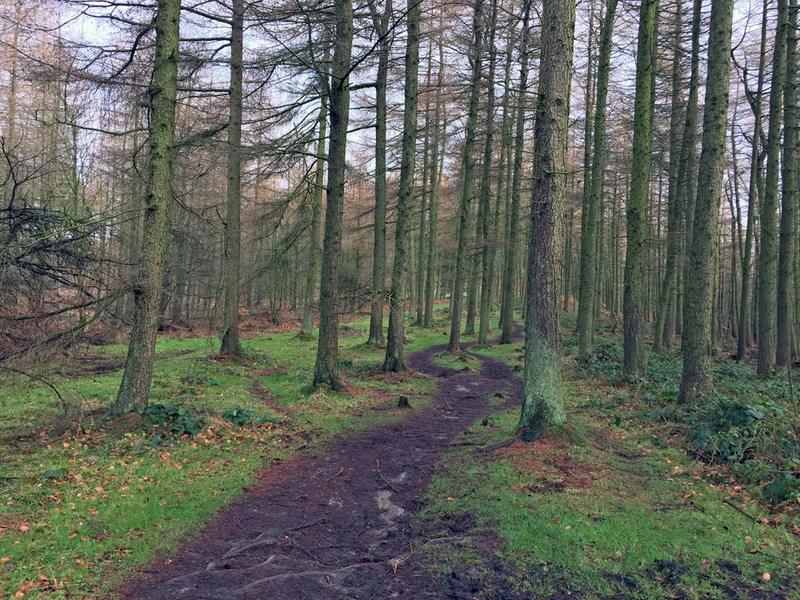 The track is rough and heavily rutted and, after a couple of gates, you emerge onto the moor top with a gate on your left and a description board about the moor. Through the gate keep straight on, ignoring the path slanting off to the left. Follow the path for about 1 mile, looking across to the sea on your right. You come to a a gated junction, where you turn left. Follow the track for about 0.56 miles, then turn left through a gate [the cycle track carries straight on]. 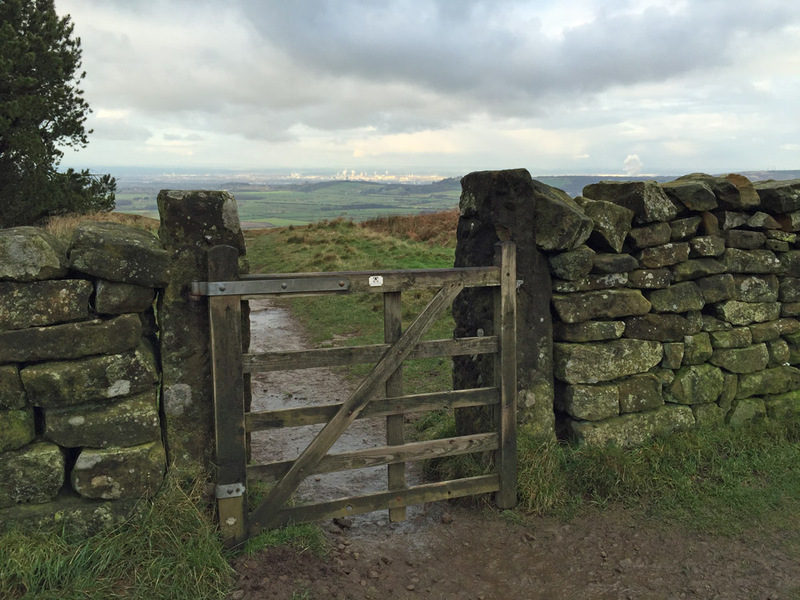 You keep going with a wall on your right, until you reach the gate to Roseberry Topping. You can go right here through the gate and explore this little Matterhorn, or turn sharp left and take the path back to the car park. About 5.5 miles [9km] in all. A walk with all-round views. The North Yorks Moors have the largest area of heather moorland in England, breathtaking at any time of year but especially beautiful in August when the purple heather is in flower. Take a picnic, or try the Royal Oak in Great Ayton. Simple food for hungry walkers in a long-established pub. 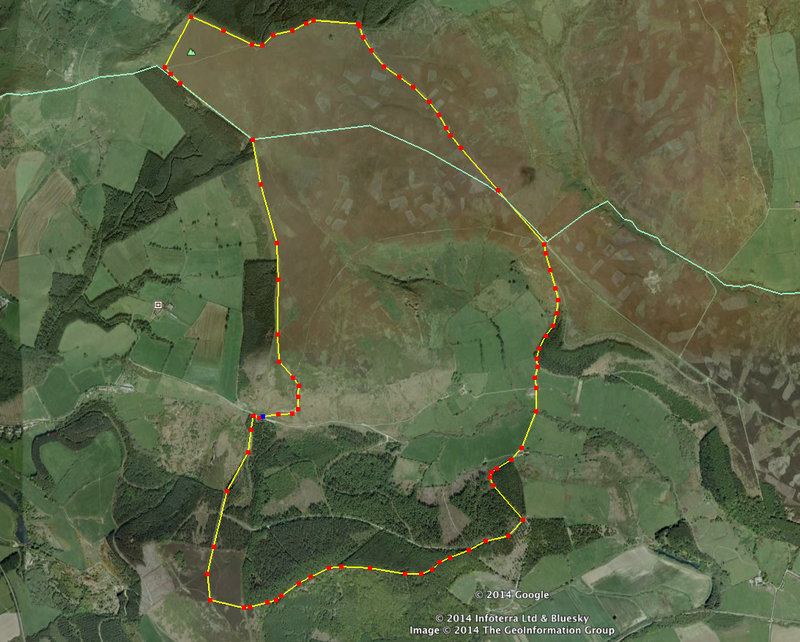 Google Earth view of the route. Park at Gribdale Gate, the blue dot middle left.